Camp in a Yurt NEW! Nestled in the trees our Yurts are an eco-friendly cross between a cabin and a tent which strike the perfect balance between luxury and rustic living. They are a modern adaptation of primitive dwellings that have been used for over three thousand years! 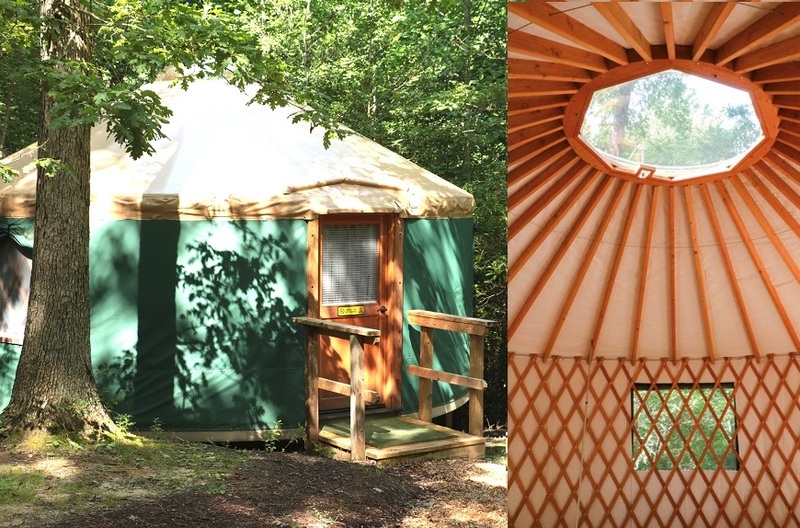 Each Yurt has a circular design offering a spacious interior that encourages both social activity and quiet relaxation. All Yurts have comfortable, plush queen beds along with full futon and small table and chairs. They are located only a short walk from restroom and shower facilities. Beautiful. Clean. Friendly. Would stay again!!! Best KOA we've stayed at yet! Very clean, quite. Lots of activities for kids. Great staff! 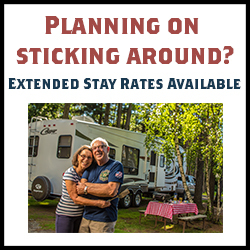 Great campsites, other KOA's could learn from you! 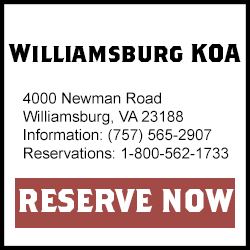 It is obvious that it is a requirement to be polite, courteous and go above and beyond to work at this KOA. My family always has a great time when we stay here! They loved the tie-dye and movie nights! We love the staff and the facilities we would certainly recommend this to anyone who would be traveling to the Williamsburg Virginia area. Another wonderful visit to a quiet clean campground! Our dogs love it too! Great campground! Everyone was friendly and the entire campground was one of the most well kept and cleanest we've ever been to! Thank you Williamsburg KOA for a great trip! Great place clean, friendly, professionally-run.